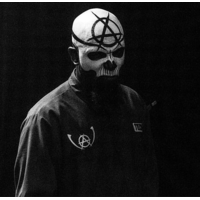 Aaron Dontez Yates (born November 8, 1971), better known by his stage name Tech N9ne (pronounced "Tech Nine"), is an American rapper from Kansas City, Missouri. In 1999, Yates and Travis O'Guin founded the record label Strange Music. Throughout his career, Yates has sold over one million albums and has had his music featured in film, television, and video games. In 2009, he won the Left Field Woodie award at the mtvU Woodie Awards.